From "Mobile Suit Gundam NT (Narrative)", MS Jesta operated by the Earth Federation space army "Schezar Corps"
Commercialized in master grade series with "B team equipment" and "C team equipment" specifications. 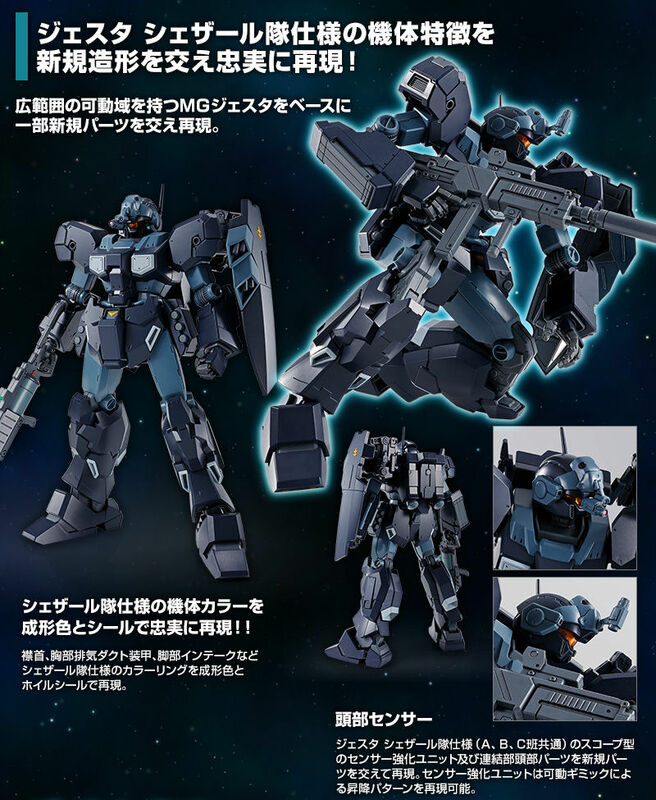 Based on MG Jesta with wide range of motion, feminine reconstruction of head sensor strengthening unit and main weapon "mega beam launcher & tripod", "capture gun" with new modeling! - Faithfully reproduce the aircraft characteristics of the Jesta Schezar Corps specification with new modeling! 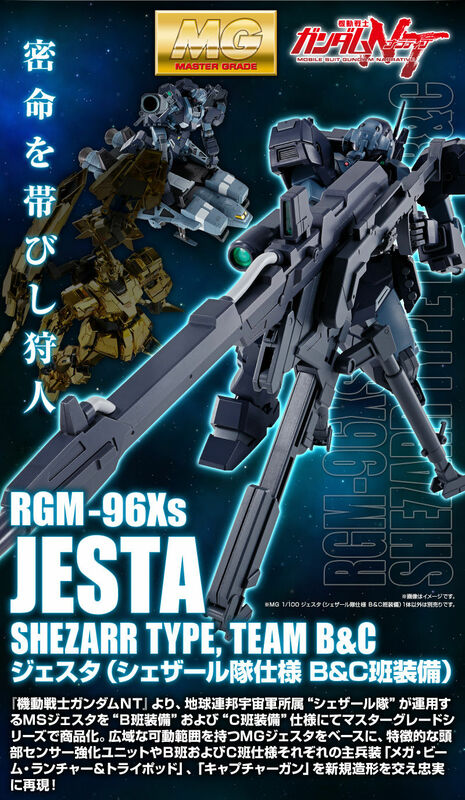 The body shape is based on MG Jesta, and some new parts are reproduced. Also, fuselage color faithfully reproduced with molding color and seal. Reproduce the head part of the joint part with new parts. The sensor reinforced unit is equipped with a movable gimmick. 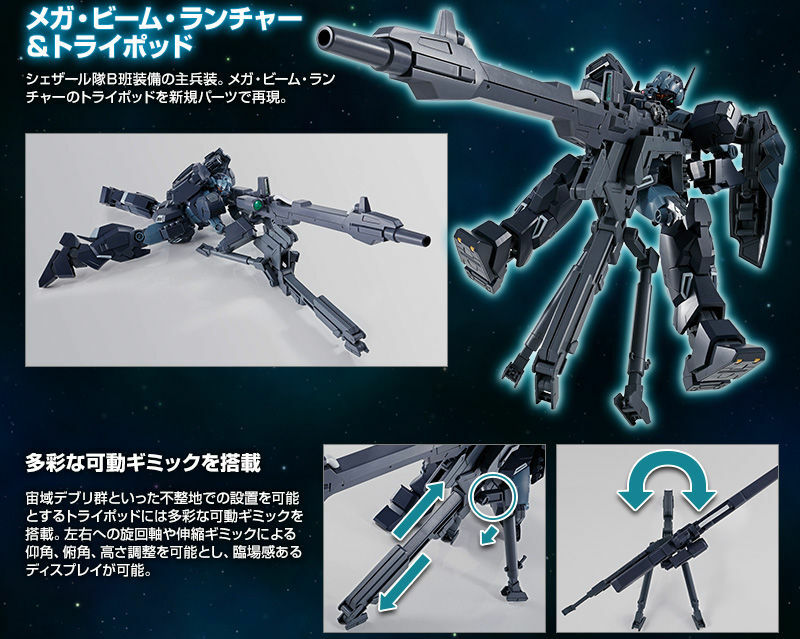 The main armament equipped with the Schezar B team B, "Mega Beam Launcher & Tripod" is included. Tri-pods reproduced with new parts are equipped with a variety of movable gimmicks. It is possible to adjust the height by swiveling to the left and right and stretching gimmick. The capture gun "Capture gun" equipped by the Schezar Corps C group is reproduced by new modeling. Optional equipment such as beam rifle and shield is also included. 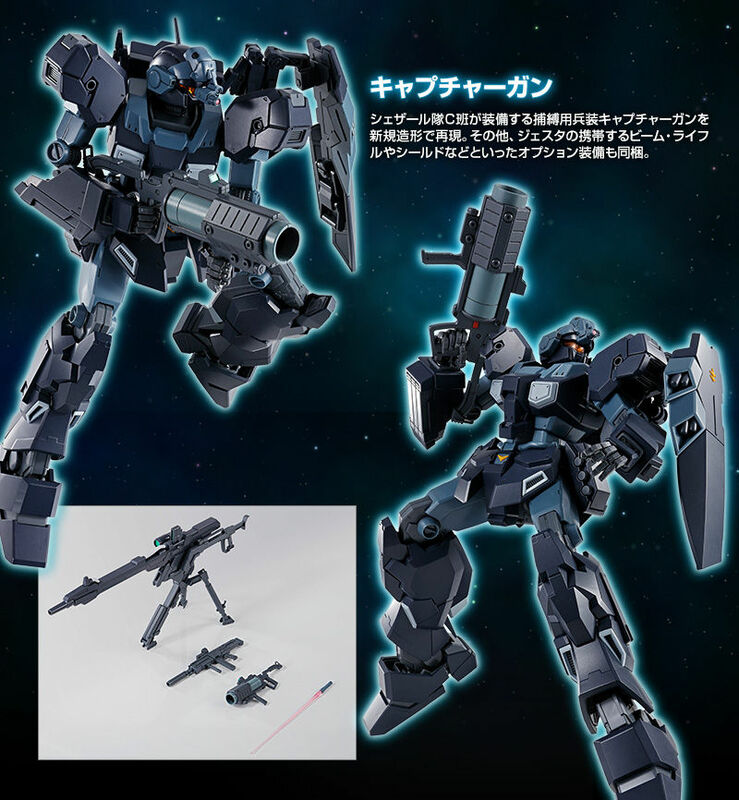 ※ This product comes with 1 body of "MS main body" and "B team and C team" armed types.